For today’s deals roundup, we have found some interesting IEM deals on Amazon. 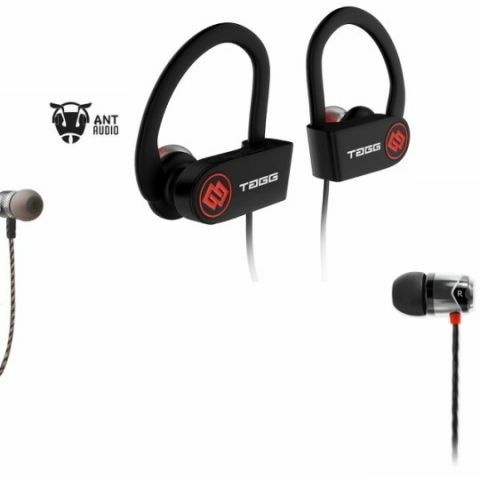 The list consists of in-ear wireless and wired headset that are from brands like Soundmagic, Tagg, Crossbeats and more. Another day, another daily deals roundup from digit. Once again, we have found some of the best IEM deals on Amazon. You will find products from top brands like Crossbeats, Tagg, Soundmagic and more. The Tagg Inferno Wireless Bluetooth Earphone comes with an IPX4 certification. The earphone has a noise-canceling microphone, which reduces the outside noise and lets you make calls without worrying about external noises. As per the company, the earphones can deliver seven hours of playback on a single charge. You can purchase this device here. The Soundmagic E10C comes with an in-line microphone and remote that lets you take calls and manage audio tracks. The earphone features a tangle-free flat cable and weighs around 9gms. You can purchase this device here. The Tagg Sports Plus Wireless Earphone features Bluetooth 4.1 for connectivity. The earphone also has a magnetic latch that prevents accidental falls when not in use. The device has an in-line microphone and remote that allows you to manage calls and audio playback. You can purchase this device here. The CrossBeats Wave is a wireless waterproof and sweatproof headphone which comes with an IPX7 certification. It features an in-line microphone and remote to pick up calls and adjust volume. The company claims that it can deliver nine hours of music streaming in one go. You can purchase this device here. The Ant Audio H21 wireless in-ear headphone features a passive noise cancellation. it has an in-line microphone that lets you adjust volume and switch an audio track easily. As per the company, it can provide up to six hours of music streaming in one go. You can purchase this device here. IPhone 5 won\'t turn on after IOS 8 update? Which will present more impact on market Xiaomi MiUI 6 or IOS 7 ?